Some of the worst storms actually hit during the summer. Here's how to protect yourself and your RV from thunderstorms, tornadoes and the dreaded haboob. 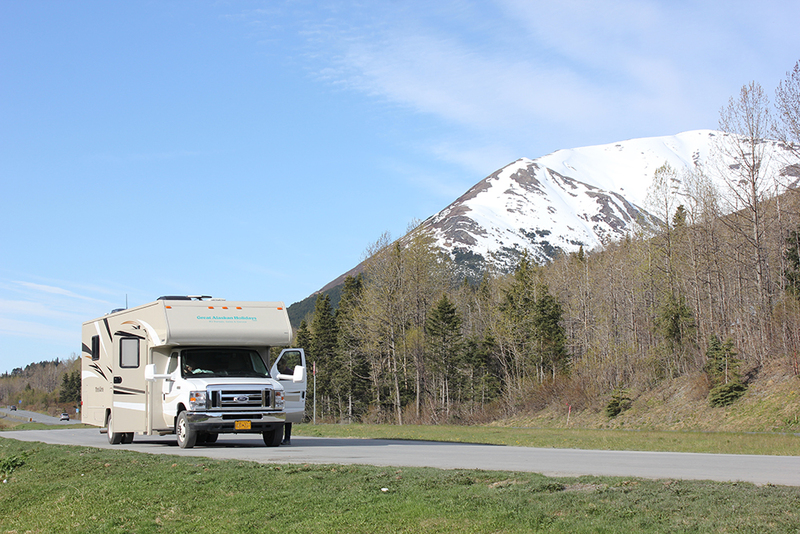 Most RVers tend to avoid traveling during the winter and save up most camping trips for the summer. However, the summer months can contain some of the worst storms of all. From tornadoes and hurricanes to hail and…yes…even some snow. 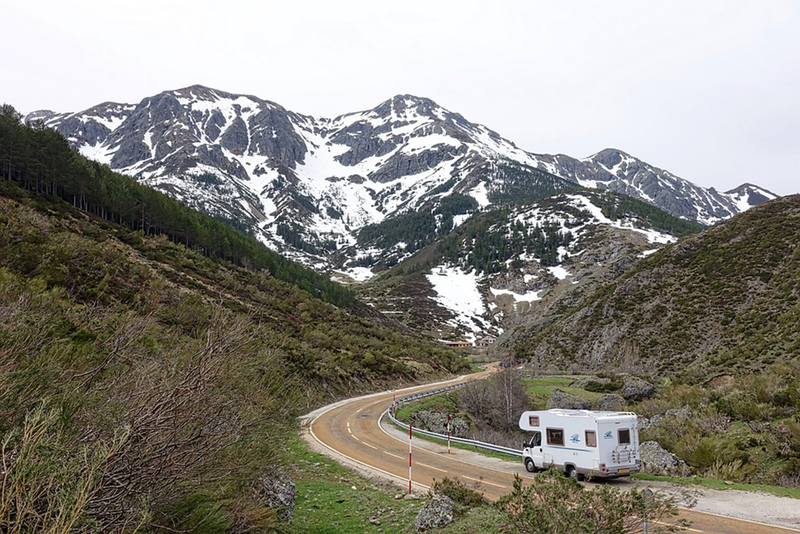 Here’s how to prepare yourself and your RV from running into less than ideal weather. 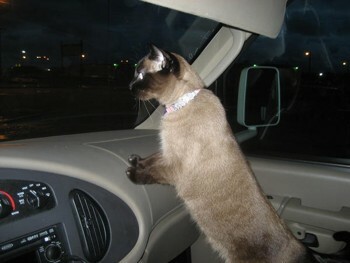 First of all, make sure your vehicle and camper or trailer is supplied with a good weather radio. Even when electricity is down, you can depend on these little devices for up-to-date information. 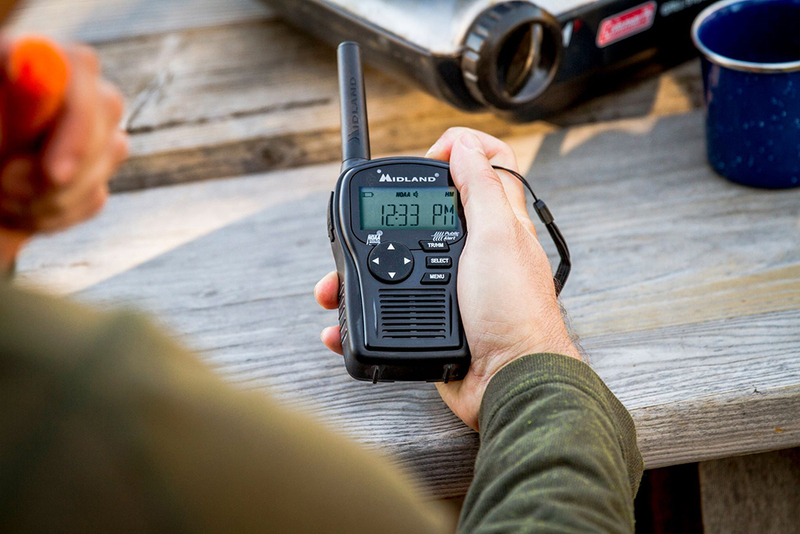 You can purchase a battery operated NOAA weather radio with public alerts from companies like Midland, or a solar-powered radio from companies like RunningSnail. In addition, you can also pick up a pair of two-way radios that have an NOAA weather frequency. Each frequency will be different for the area you are in. 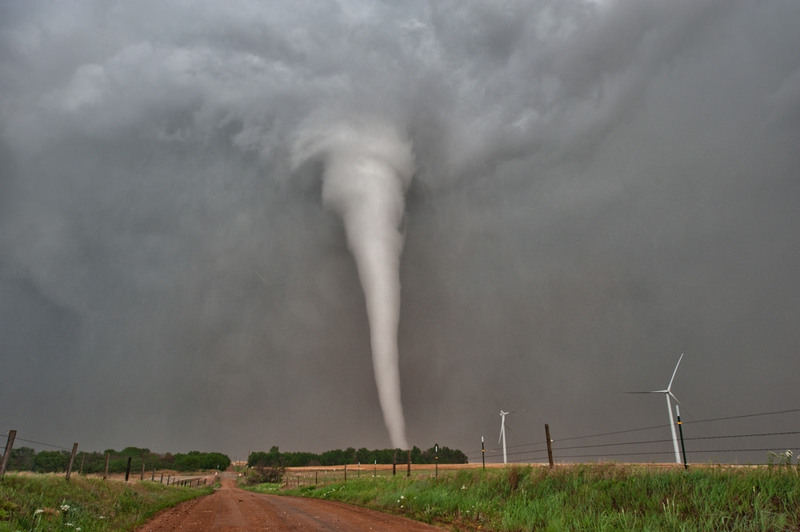 Tornadoes are some of the most feared summer storms and can uproot entire towns in minutes. 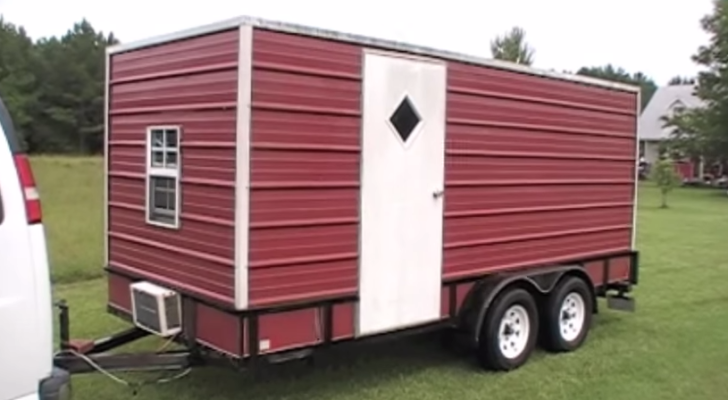 No matter what type of RV you have, it will most likely not survive a direct hit from a tornado. Therefore, if you happen to be in the path of one of these storms, abandon your RV and get to an approved tornado shelter. While it’s difficult to know when and where a tornado will touch down, keep an ear on the news and be familiar with the area you’re camping in. Where are the major highways? Will they become crowded during a storm? What about backroads and other escape routes? Study maps and come up with a game plan for if and when a tornado strikes. Never try to outrun a tornado in your RV. While high winds are usually a given with tornadoes, high winds in general are a lot more predictable. When you are in an unfamiliar area, ask locals where the prevailing winds come from and prepare with a few items and plans. If you’re traveling on roads during high winds, make sure your trailer’s anti-sway bars are working correctly and are not damaged in any way. 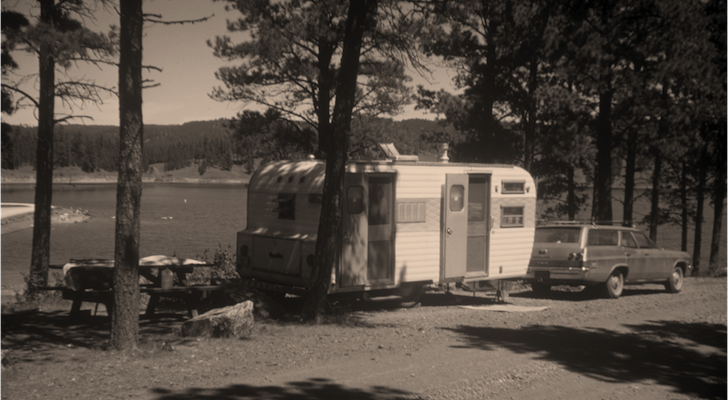 Drive at a slower pace than normal; if you continue to feel the wind hit the high side of your camper or trailer, pull over in a safe place and face into the wind until it dies down or you feel comfortable enough to continue. 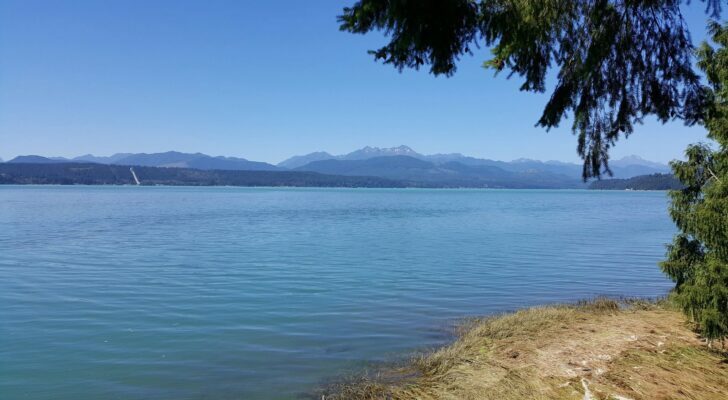 In addition, if you’re camping in a wind prone area, never leave your campsite without pulling in your awning, dropping down any popup shelters, and removing items (like camp chairs) that can go flying into your neighbor’s campsite. 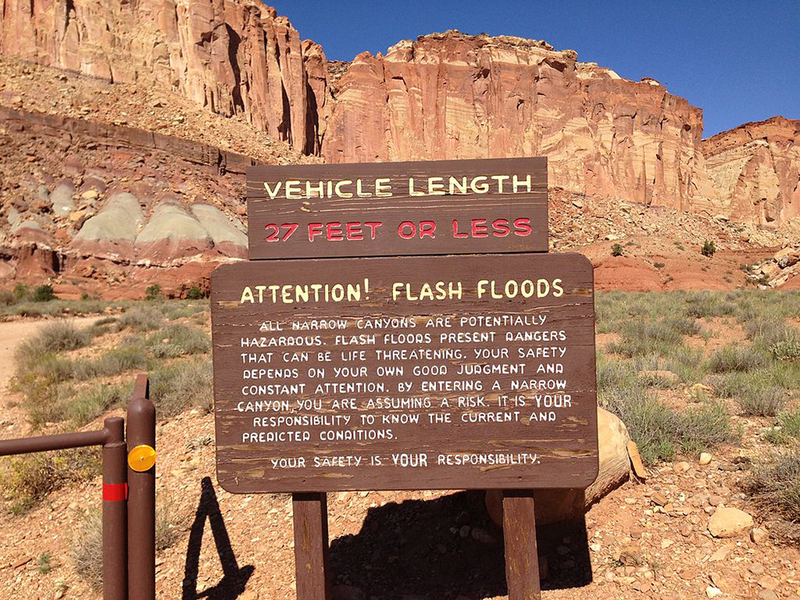 RV owners who camp in both the high and low deserts can experience flash floods in the middle of summer. These floods are usually created by mountain thunderstorms dozens to hundreds of miles away and travel quickly through dry river beds or low areas. This is where the weather radio comes in handy. The radio will give you the weather conditions for the surrounding counties, so keep your ear out for localized rain storms. Many campgrounds in flash flood zones will have information on where and where not to travel during a flood. Never try to drive through a flooded area if you are unfamiliar with the depth, and don’t try to camp in a dry river bed or next to a creek/river during rainstorms. 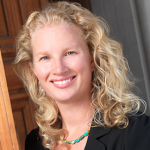 Consequently, after flash floods, campground and city water can become contaminated. Be sure to have your fresh water tanks full and store extra drinking water in your RV or vehicle. In summer, residents of large desert valleys like Phoenix, Arizona sometimes experience one of the eeriest of storms. 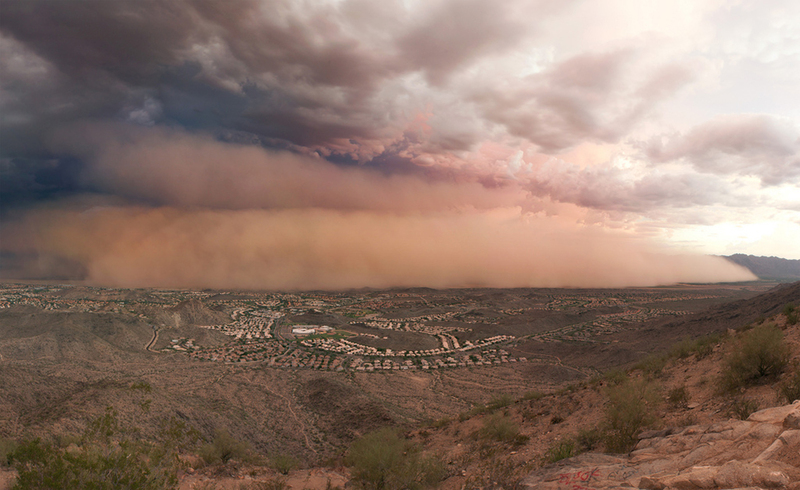 Dust storms or the stronger haboob (an Arabic word that means blasting) look like something from doomsday. Dust storms can not only hinder visibility while driving, but the sand kicked up by the winds can get into your RV vents, windows, and any crack or crevice. 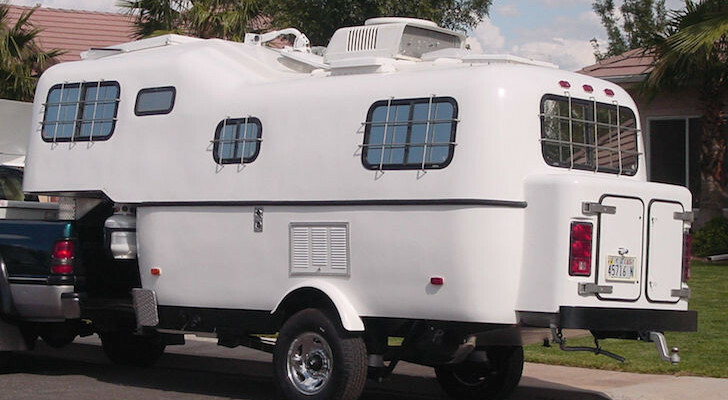 Stock your RV with some duct tape and plastic sheets to cover up your vents or windows in case a dust storm kicks up. Some dust storms can last for several hours, so make sure you have food and water inside your camper and don’t run the AC. If you see a dust storm coming, remove all lightweight items from your campsite and quickly break down any shade shelters or tents. If you have time, unhook your electrical, water and sewer connections to keep sand and dust out of your hookup connections. During the summer and fall seasons, hurricanes tend to hit the southeastern portion of the U.S. These storms can look like all the above storms put together. 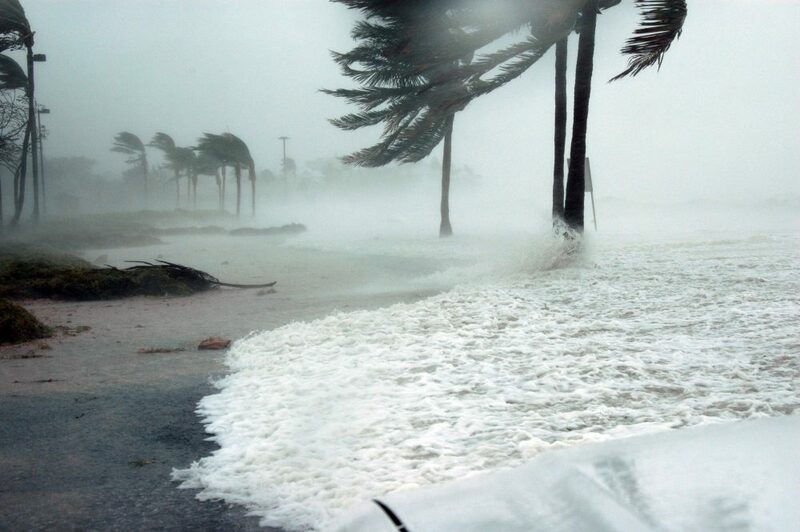 High winds, floods and surge, hail and flying debris are the most dangerous parts of a hurricane. The best thing about hurricanes is that most of them can be predicted several days in advance. This will give you some time to pack up your RV and head inland. If you like humidity and are camping in the south during the summer, periodically check your weather radio and TV for storm warnings. One of the most common sights during a summer afternoon is the gathering of dark storm clouds. 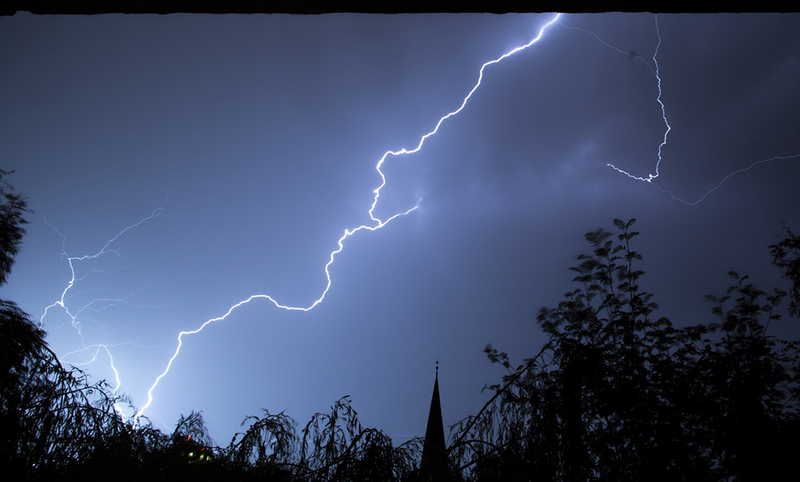 As one of the more unpredictable storms, thunderstorms should not be taken lightly. Normally you will be safe from lightning while you are inside your vehicle or RV, but keep the safety rule in mind. If you see a lightning flash and hear thunder in less than 30 seconds, a strike in your area is very likely. 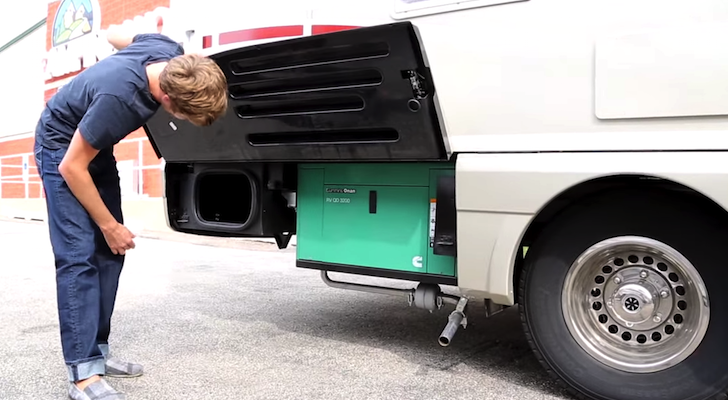 Be sure to become familiar with your RV’s electrical system and your campground’s hookups. 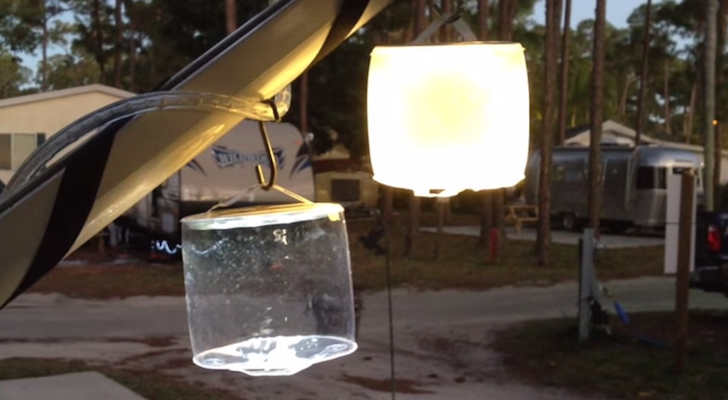 Both your RV and the campground should have a ground that carries any voltage from lightning strikes into the ground. 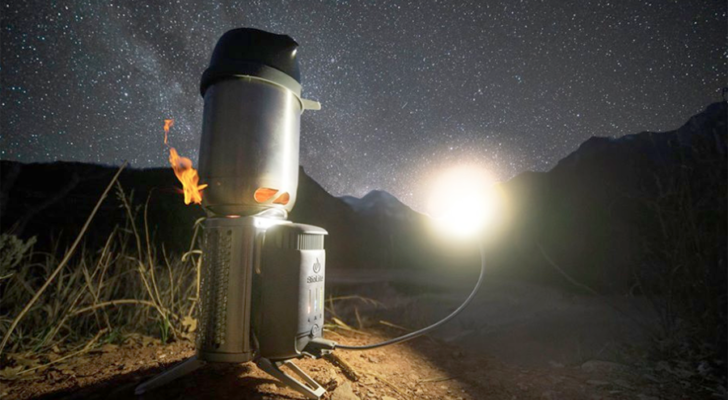 In addition, you’ll want to purchase a good RV surge protector or guard. One of the most damaging parts of thunderstorms is hail. Those notorious popcorn or golf ball-sized chunks can smash windows and roof vents and dent your toughest RV exterior. While there is not much you can do about that, be sure to pull over and wait for a hail storm to stop if you are driving through one. Even in the depths of August, high mountains can get snowy weather. A day that starts out in the high 80s can quickly turn wintry when thunderstorm rain turns to snow and piles up on mountain passes. If you are heading over high mountain passes, make sure your RV or vehicle has tire chains or cables, a small shovel and gloves. In case you experience deep or slippery snow, carry a bag of kitty litter and a few wooden boards to give your tires extra traction. The best thing to do is to avoid going over mountain passes if the weather radio is warning of high altitude thunderstorms or rain. 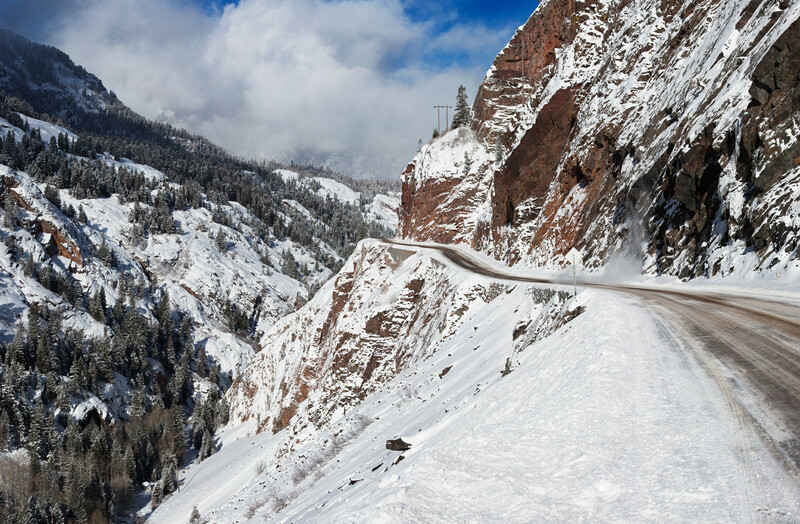 Stay off the mountains until the weather clears or find alternate routes. Do you have any tips for surviving bad weather during the summer? We’d love to hear them below.